EVERYONE WANTS TO SAVE THE WORLD.. If you have the patience to read through this you will learn that Na Nach brings the truth to your door, it is the only novelty, people that are far are closer then those that are close, Universities are the best place for Na Nach to spread and are therefore blessed! I Mankind wants to "discover" a new solution for society, be it for profit, honors or "altruism". So each goes on his "hunt" in libraries, on long adventures, following the media, museums, religious even psychodelic etc...Unfortunatly, non of this is new, it's just more diaspora. What is new is the statment by Na Nach below, it metamorphoses the diaspora into a true re-unification. For Jacobs sons the objective became, longing for Josef and regretting his loss. The salvation would have been to find Josef and bring him home- instead the brothers went into exile as a result of finding him in exile and not having the power to bring him back. "Unite yourselves in love, happiness and faith, and I will come to you"
The book of Ebay Ha Nachal puts a person in this state of bliss and brotherhood. The way it works, as Zalman Shazar the first minister of education intended, is that any person feeling the love that the Tzaddik has for him will have an equal and opposite response over time. The book teaches us (or grows in us) how to love a pure love. His Excellency the President of the State of Israel did his job impeccably well. He gave all of us the tool to bring the Tzaddik to our doorstep! II People that are part of an organization (even living from it) may not at all be fulfilling the wishes of their "constitution" and founding fathers. All people not involved in these organizations, may be fulfilling all the wishes of the founders of the organisations they don't even know the existence of. Those that seem close are very far while those that are far are very close. President Shazar (Zionist/ historical) and Rabbi Israel Ber Odesser (Breslev) both started the largest printing houses in their respective genres. Each of these men knew the potential, uniqueness and vital importance of their book. It is completely safe to assume that each created his respective printing association with the intent that this particular book be pushed through the market even at cost of paper and ink alone (recorded statment). This historical fact illustrates that those that are close (the employees) are far. Those that are very far are very close. Every person on the street be it in Tel Aviv or Pekin that works for Shekels is 1)happy to have them, 2)loves that they are in his pocket, 3) believes that he can do great things with them. What this person doesn't know is that these shekels are no less then the four rivers flowing out of Eden. Eden being the book of Ebay Ha Nachal and the four people on the banknotes are no other then Zalman Shazar (200), Israk Ben Svi (100), Shai Agnon (50), Moshe Sharet (20), precisely the 4 people involved in studying the letters of Saba Israel Ber, Rabbi Na Nach Nachma Nachman meuman and creating this book of the redemption as they call it. Is it besides the point here to say that we could print today as many shekels as we want and the value would remain the same- therefore we could "buy" the whole world. Call it the "power of love, happiness and faith". Those that are far are unconsciously very close to the ideal of love, happiness and faith in the Tzaddik through his students on the Israeli bank notes. This final point seems to be in contradiction with Rabbi Natan and Rabbi Nachman who preferred an anti-semetic Tzar to a university oriented friend of the Jews- Rabbi Nachman could have met Napoleon and helped him win the war allowing Israel to become Jewish AND religious- but he chose NOT to do this maybe because the "forces of enlightenment" were overwhelming (they led to the Holaucaust according to religious scholars). I praise Netanyahu for having finally taken the right step in this direction and believe that the time is ripe for Universities to become the place of choice for open and intelligent understanding of the wisdome of Rabbi Nachman. 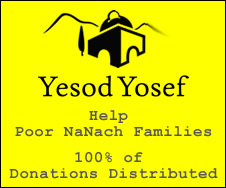 It would not suprise me at all if empowered by Rabbi Nachman, students in these facilities will surpass their collegues in the Yeshivas in all aspects of devotion as well.